My sister Kateri sent me this recipe book some time ago and I have been meaning to try a recipe from it. 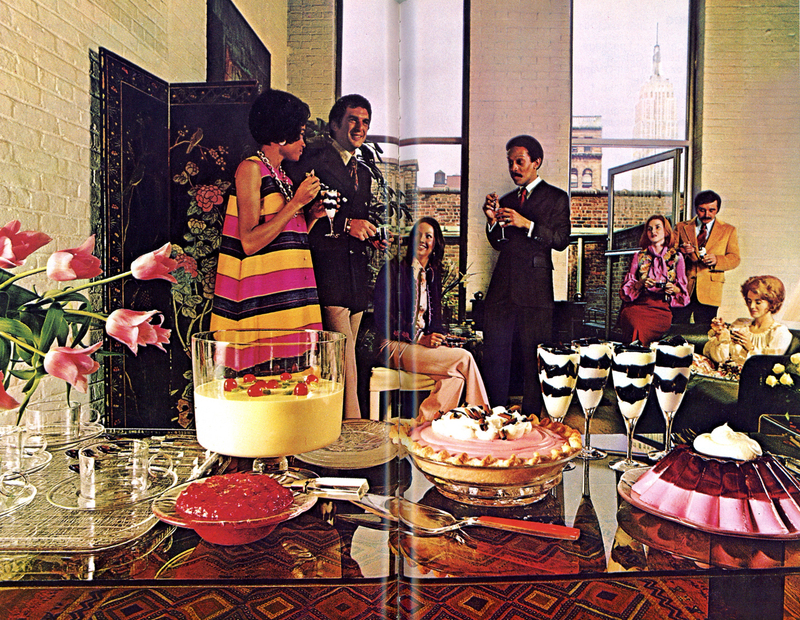 The New Joys of Jell-O, a 1973 follow-up to the original 1960’s Joys of Jell-O, takes jello from the suburbs to the city and features photographs of sophisticated, swinging, singles in a posh Manhattan penthouse feasting on a dizzying array of jello selections… Seems about right. 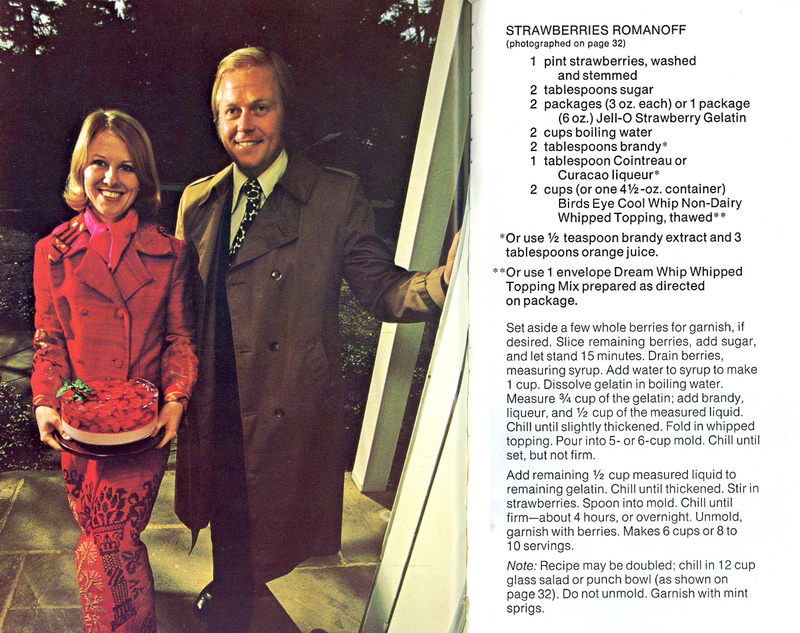 I selected the Strawberries Romanoff recipe but substituted cherries for strawberries because I wanted to use this cherry themed mold Flossie gave me for Christmas. It has a top layer of cherry whipped cream with a touch of brandy and bottom layer of sweet dark cherries suspended in cherry gelatin. Click on the recipe text below to enlarge try this one for yourself! Vintage Jell-0 cookbooks are wonderfully kitsch in their multi-color layered Jell-0 way. I really enjoy your gelatine creations and am looking forward to your book. Thanks so much for being a fan Gretchen! I just discovered your blog after doing a few “New Joys of Jell-O” posts on my own blog. I made the Topaz Parfait that’s in the picture above. Too funny!